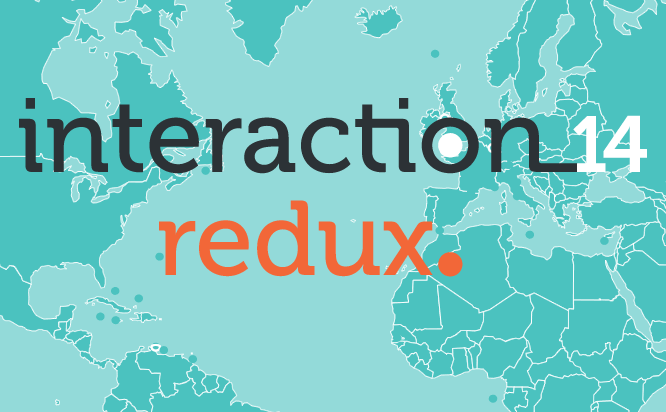 Redux events bring Interaction conference talks and ideas back to the local IxDA groups so that the inspiration and knowledge from the conference can reach as many people as possible. These events are organized through the initiative of IxDA’s local leaders worldwide. Wednesday February 19: IxDA Chicago (USA). Wednesday February 26: IxDA London (UK). Tuesday March 11: IxDA Toronto (Canada). Tuesday March 25: IxDA Portland (USA). Wednesday March 26: IxDA Northern NJ (Madison, USA). Tuesday April 1: IxDA Boston (USA). Thursday April 3: IxDA Dublin (Ireland). Thursday April 3: IxDA Lyon (France). Saturday April 26: IxDA San Francisco (USA). Saturday May 17: IxDA New York (USA). Thursday, June 5: IxDA Pittsburgh (USA). Is your Redux not listed? Let us know at interaction@ixda.org!